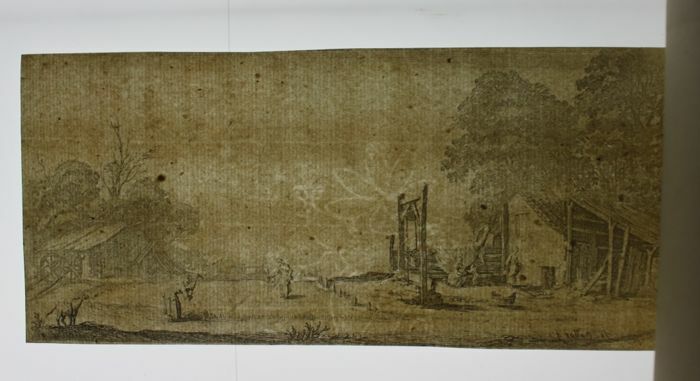 Impression of the second state with the Callot signature on watermarked laid paper. 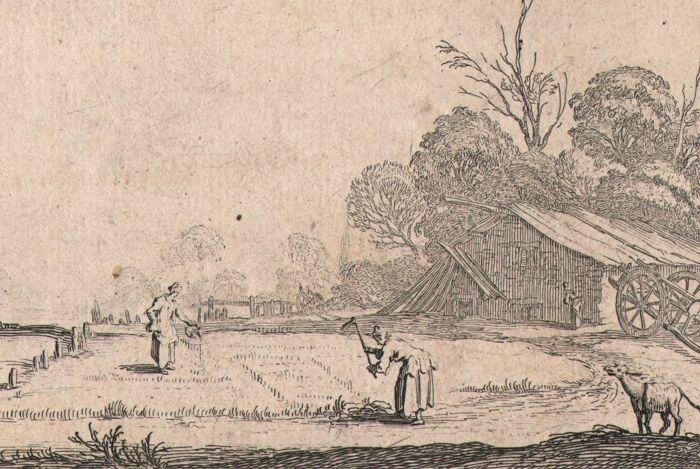 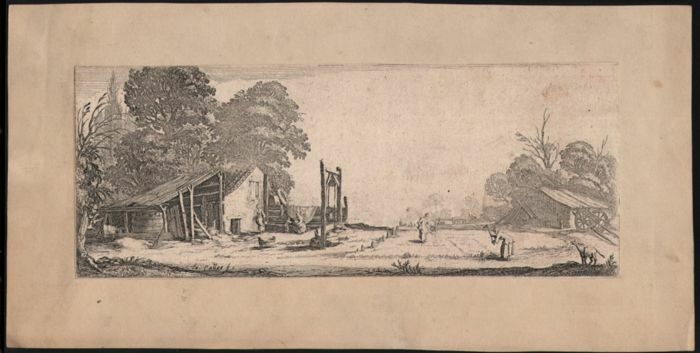 Landscape with, on the right, women cultivating a patch of land near a cottage, with well in the middle of the composition. 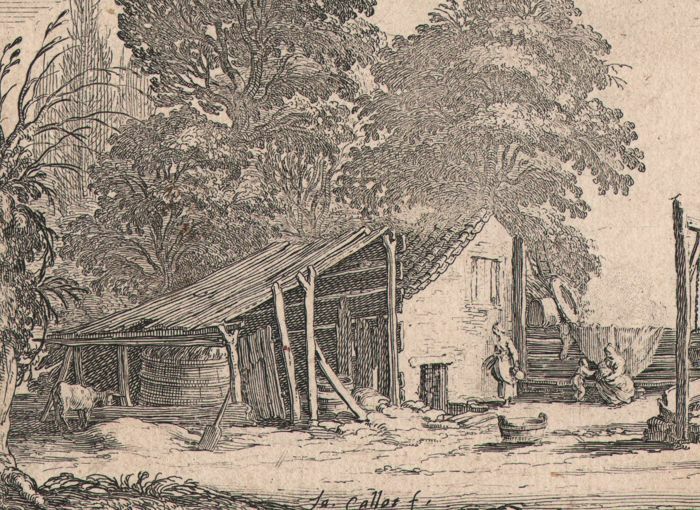 From a wanted series of four landscapes.